Who will emerge from the chaos to control the greatest empire the region has ever known? And can we ever know the full story? Enter a world where it is up to you to piece together the truth from the fragments. Walk the corridors of power in the heart of an empire that stretched from Egypt to Iran. Decipher the true meanings of omens which will shape the fate of thousands. Be the eyes and ears of the king’s spymaster. Choose whose truth you believe – but beware: in the polarised world of Assyria’s court, you may not be in command of all the facts. 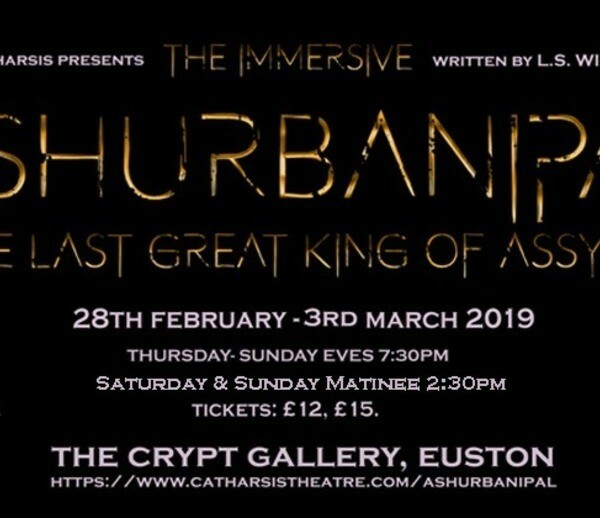 If you’re a fan of immersive theatre, fascinated by Shakespeare’s betrayal-filled histories, or can’t wait to binge-watch the next season of Game of Thrones, you won’t want to miss this.